In-person sessions take place in Venice, Florida. Directions will be provided upon scheduling. Whether local or distant, you can also choose a phone or Skype session. Usually the client calls me (703-548-4552) at the agreed upon time. If it is a toll call and you live in continental U.S., I can call you. Because significant time is put into preparing for your session, the courtesy of at least 24 hours advance notice for cancellations is expected. I am always willing to reschedule. All information shared is considered confidential even if a third party pays. I will never share your birth chart information without your specific permission. However, you are free to share the recording and your experience as you wish. If services are offered in-person, payment is expected at the time of the session. If offered by phone, payment is expected in advance. Cash, checks and credit cards are accepted. All sessions are digitally recorded and an mp3 file sent to you electronically afterward. A recording is offered as a courtesy and is not guaranteed. You may record the session yourself. If the recording fails, the session cannot be repeated. I will attempt to summarize key information in a new recording. Recordings are only made during an actual session between Dianne and the client. What information is needed in advance? Your birth data (date, exact time and place) and the issues or concerns about which you seek assistance are needed no later than 48 hours before your session. The best source is a birth certificate. In the US there are two forms, a short form (does not include time) and long form (time of birth noted). Both are available at the Office of Vital Records at city, county or state level. Mom is not the best source. She can be off by several hours. After all, she was busy giving birth to you. Only if she wrote it down or another family member corroborates the time is her memory best to be used. Research online using Vitalchek.com, a service that can send you a birth certificate. Remember to insist that you only want the “Long Version” that includes your birth time. Other places to look are: baby books, family bibles, birth announcements (in the local paper? ), hospital basinet card or parent’s diary. Family lore or important family memories connected with the birth event such as “just as the church bells rang,” “just before the game started,” or “as the sun was rising” are researchable. If the hospital still exists and the doctor who delivered you can be found, they may still have records. However, the Office of Vital Records is usually the best bet. If no birth record is available, it is still possible to have an astrological consultation, but certain key details will not be able to be known. One way to determine your possible birth time, when you don’t know it, involves giving anecdotal information of major life events (injuries, births, deaths, weddings, etc.) to an astrologer specializing in rectification. This is time consuming and costly, but necessary if you want deeper insights and accurate forecasts. I do not do rectification work, but am happy to refer you to an astrologer who does. Though you may be curious about other people, it is not ethical for me to provide information about anyone without their permission. An exception is made for parents of children under 18 who may be seeking to better parent their child. 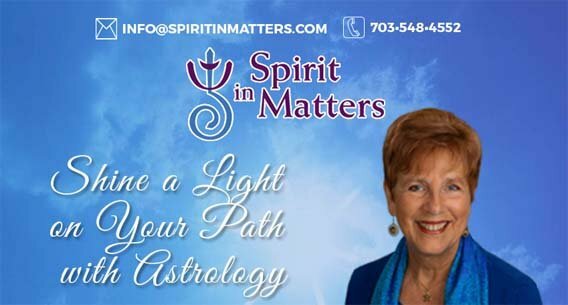 Your questions are welcome at Info@SpiritinMatters.com.